This week, we are lucky enough to hear from Adrienne McGuire from Blue Bee Printing. Their custom stickers are just wonderful, and Adrienne’s here to share some fun spring/summer ideas for kids. So without further ado, I’ll turn it over to her! During the Japanese spring festival called Children’s Day, carps are drawn on kites to signify the strength and perseverance koi demonstrate when they swim swiftly upstream against the strongest currents. Japanese parents hope that their own children will show these positive characteristics as they grow and flourish! 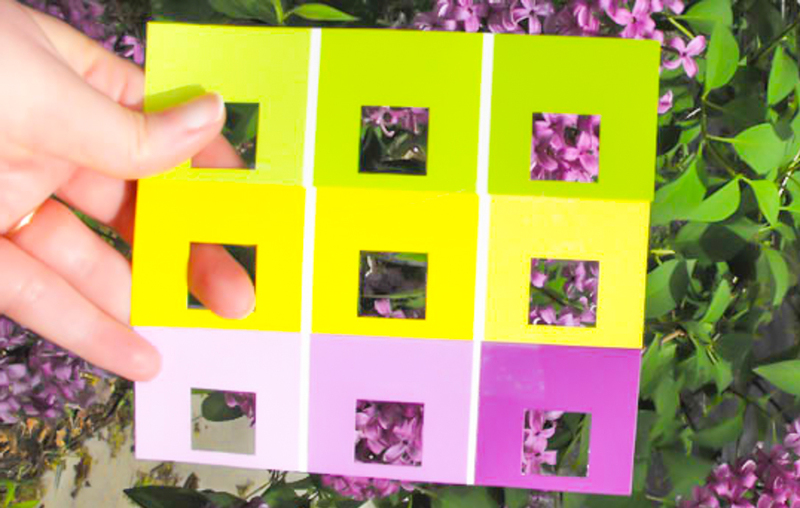 Choose five or six various colors of construction paper. These will be the colors of the fish “scales” that decorate the body of our koinobori. Fold a sheet of paper in half vertically once, then in half horizontally once, then once more again. 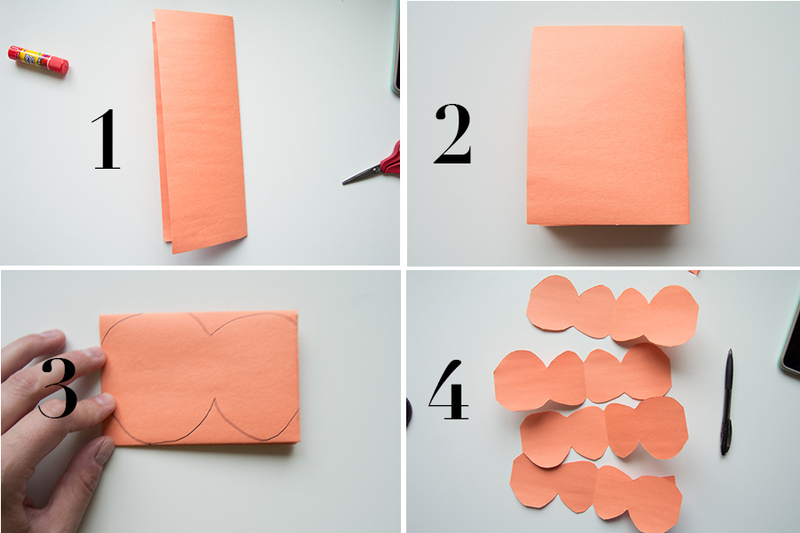 Draw two scallops on each wide edge of this folded sheet, then cut out your scales. 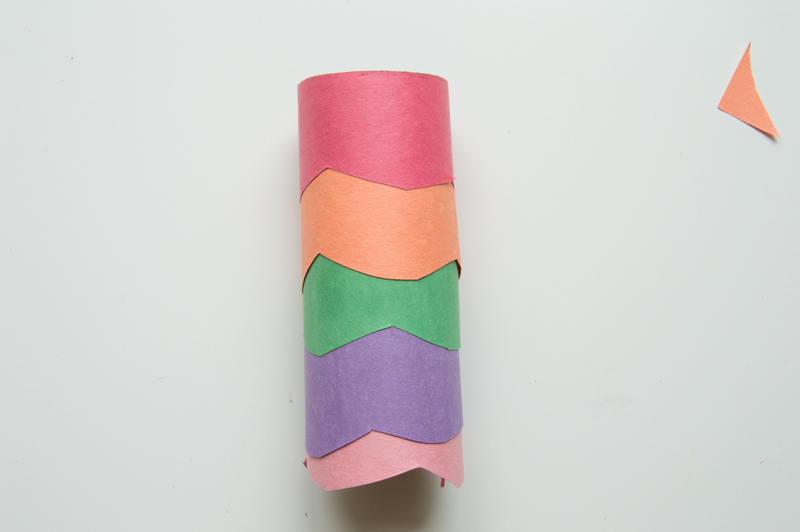 Repeat this step on each color of construction paper until you have enough scales to cover each toilet paper roll. For our koinobori tails, cut construction paper, colorful tissue paper, or thin ribbon into roughly ¼” strips. Each material delivers a different, beautiful result; construction paper is colorful and somewhat sturdy, tissue paper is floats nicely and creates a very flowy appearance, and ribbon tends to last better and flutter appealingly. Again, whatever you have at home will look great! 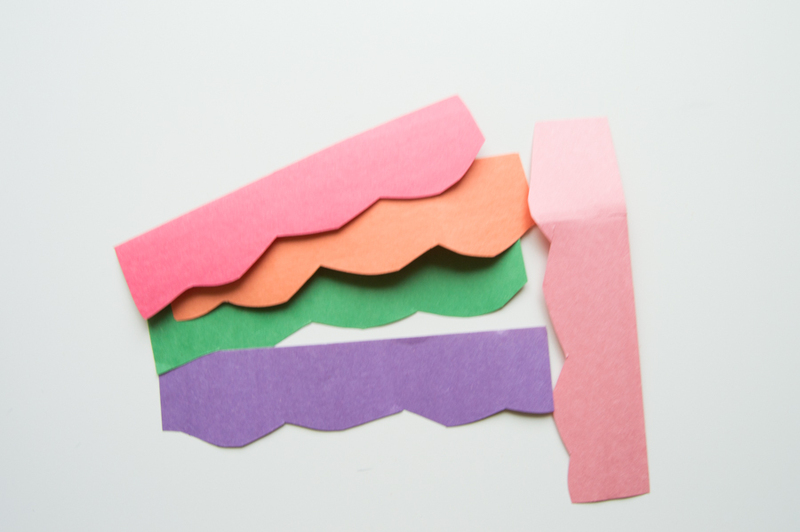 Attach double-sided tape to the reverse side of each scale and strip of thick paper, tissue paper, or ribbon. Step 4: Bring in the Kids and Attach Scales and Streamers! Now your children can use the beautiful scales to cover the toilet paper roll “body” of their koinobori. Demonstrate that one straight row of scales overlapped by another creates a beautiful fish scale look! 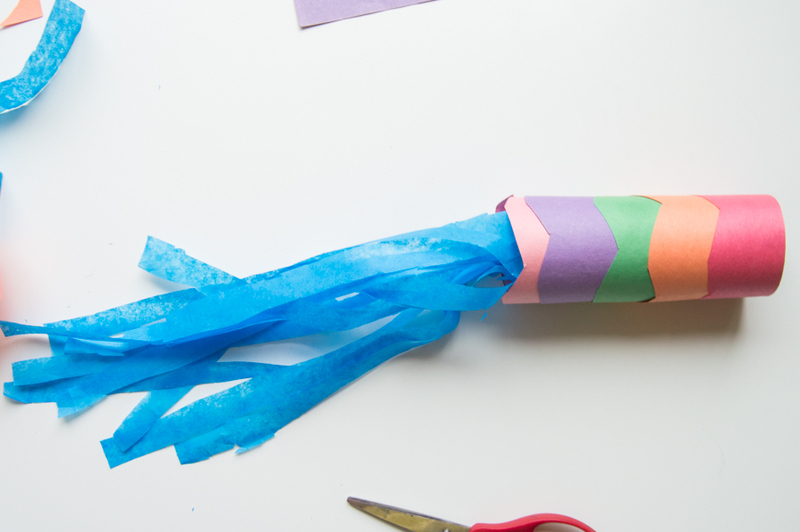 Once they have decorated the bodies, they can attach their streamers to the inside of the toilet paper roll. After they’re finished taping, double-check to ensure that their scales and streamers are firmly pressed into the cardboard roll. 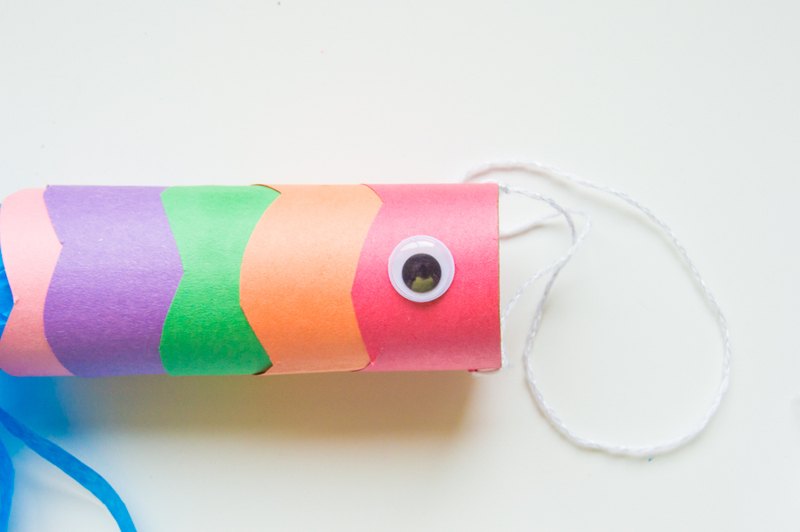 Most children enjoy attaching googly eyes to their koinobori, but if your googly eyes need to be glued or hot glued, your child (depending on their age) may need help. Now the carp looks complete! Use a thick darning needle or ice pick to carefully bore one hole through each side of the koinobori at the head. Run string through these holes and tie it so that it will not easily slip back through the opening you’ve created. Step 7: Twirl and Swing Your Koinobori! 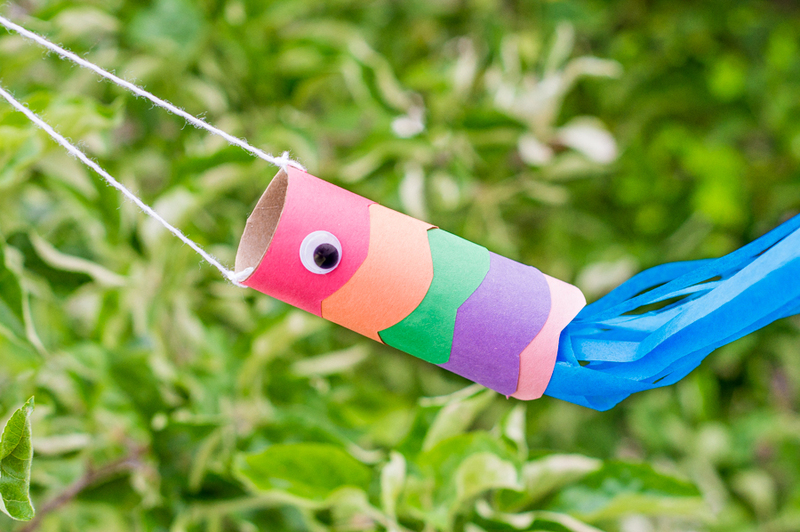 Children love swinging these adorable rainbow carp kites around outside. At the end of the day, the koinobori can be hung from a wall or ceiling to decorate your child’s room and remind them of the carp’s strength and perseverance! In many areas of the world, spring is the time when flowers bloom, birds return to lay their eggs, butterflies and bees float through the afternoon sunshine, and ladybugs trundle across our sidewalks. 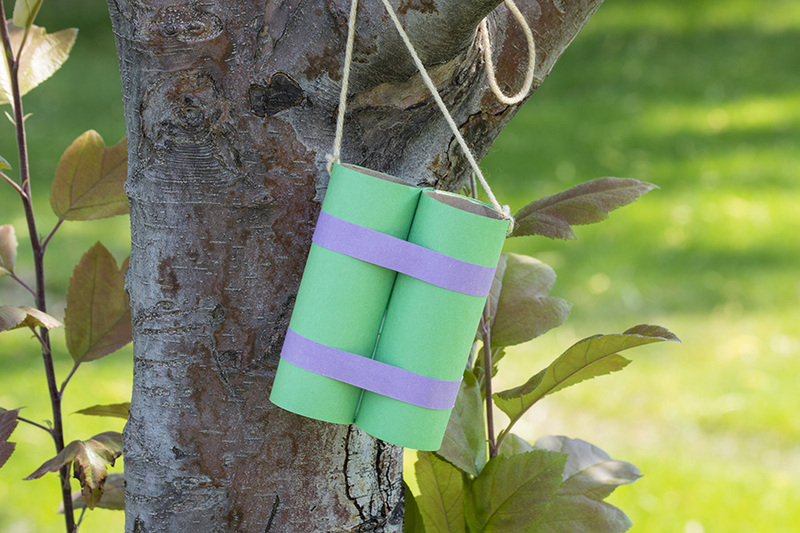 Children are naturally drawn to the peaceful, colorful spring flora and fauna, so this is the perfect opportunity to teach them about the types of nature right in your neighborhood! If children love butterflies and birds, they love stickers at least as much! For this project, you’ll need to research the most common types of wildlife you and your child would be likely to encounter on your morning or afternoon walk. If you happen to live in an area where you can go on a gentle hike through a wildlife refuge or conservation center, consider extending your scavenger hunt to include species you’ll find here, as well. Once you have your list of species of flower, bird, insect, and mammal, gather wildlife photographs of each type online. Then, use the custom sticker wizard at bluebeeprinting.com to turn these photographs into adorable, educational stickers for your budding wildlife enthusiast! Once you have your stickers and your location in mind, sketch out the scene on a sheet of thick 20lb paper or nice card stock. 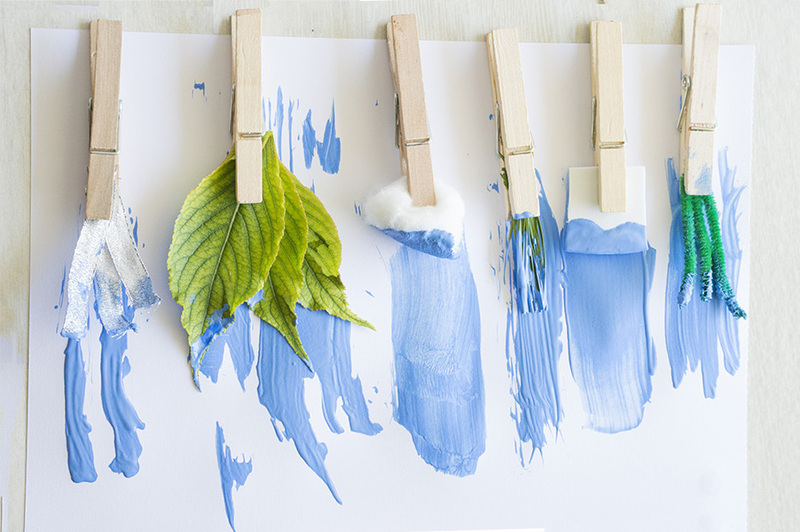 This doesn’t require special art skills; children are not at all judgmental. Include trees, grass, and bushes where appropriate, or tailor your scene for your unique landscape. Once you have your materials together, show your child the stickers and the landscape sheet. 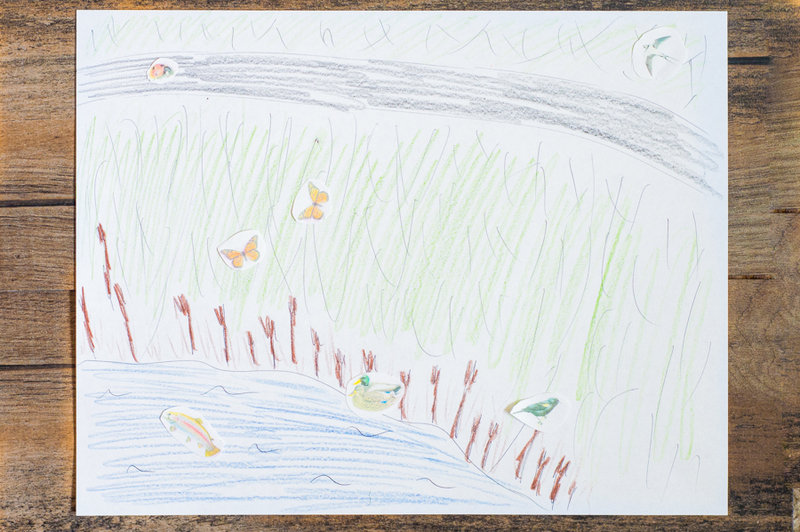 If your child wants, they can color the landscape before your scavenger hunt! When you’re ready, the two of you can head out to find the flora and fauna on your list. When you spot a flower, for example, your child can affix the custom-created sticker of this local flower to the corresponding location on the landscape. Toward the end of your hunt or series of hunts, your child’s landscape sheet will be a full representation of the beautiful nature that flourishes around your home! 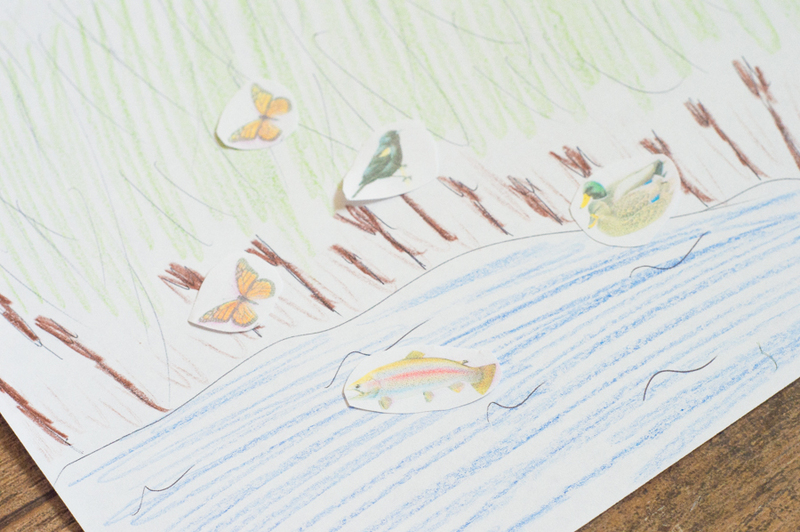 Hang up the finished art and continue to use it to help teach your child the names of each species the two of you spotted on your leisurely spring walks.